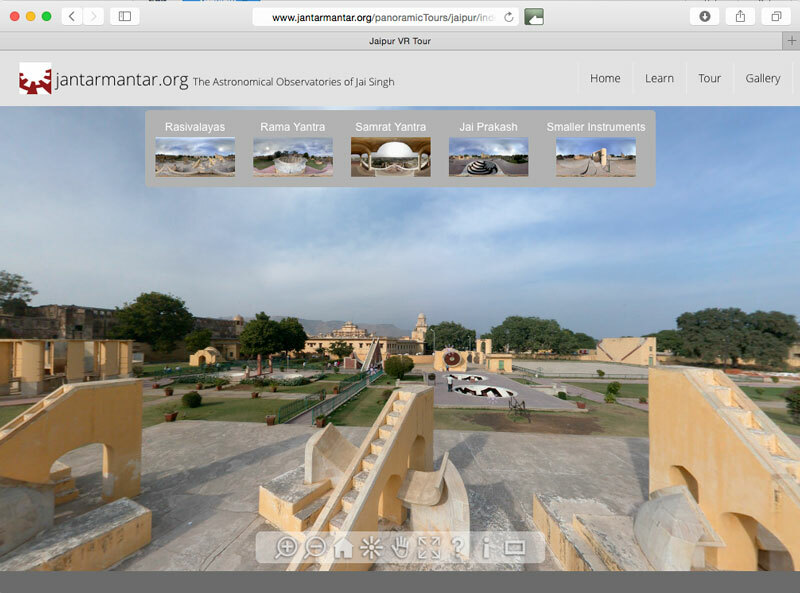 Panoramic Tours take you to different vantage points at each of the observatories. A new browser window opens that allows you to look around and zoom in on points of interest. Animated markers indicate other vantage points - clicking or tapping will take you there. On phones and small screens we recommend tapping the “Hide Controls” button, the square icon at the far right of the control bar at the bottom of your screen.